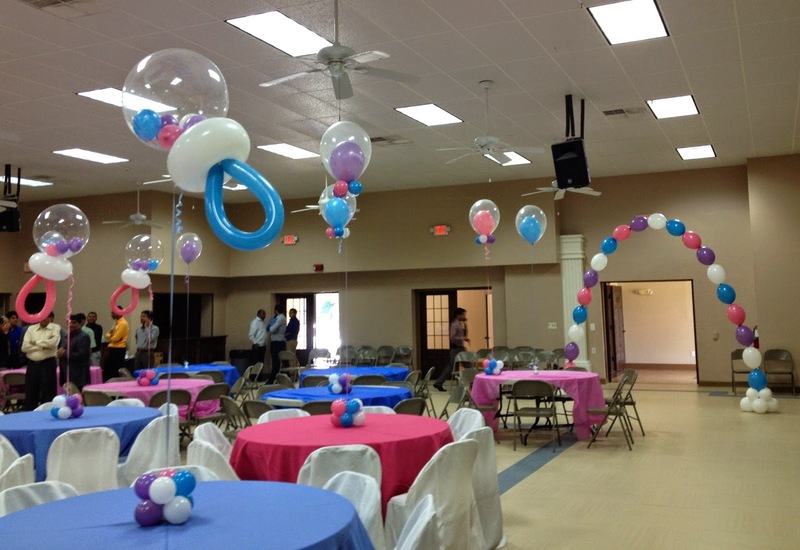 Party People Celebration Company traveled to Ocala this weekend to create decor for a repeat Client in Ocala. 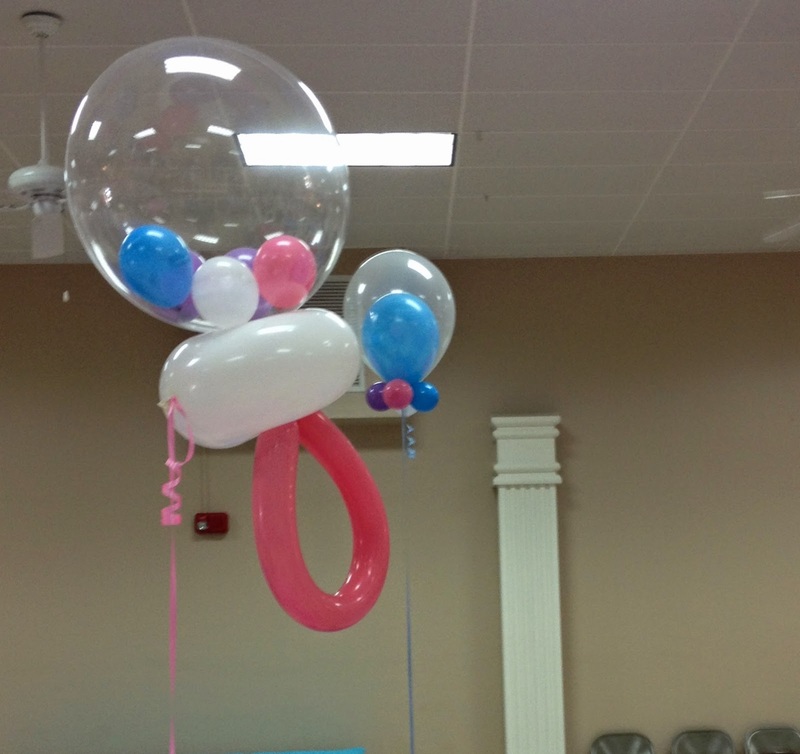 Thank you Mr. Patel for your repeat business! 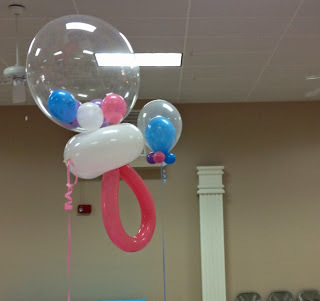 Large 24 inch clear bubble balloons were used to house mini 5 inch balloons to create 12 Rattles! 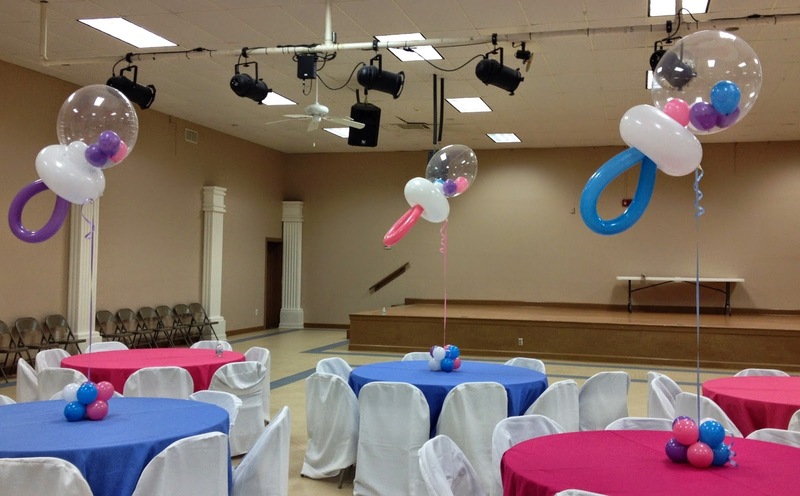 24 centerpieces were created for this large celebration. 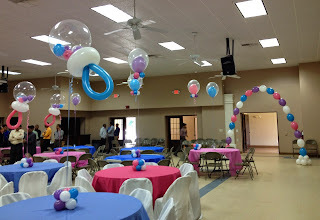 half Double bubble and half Rattles Party People celebration company is located in Lakeland Florida and travels throughout central Florida and wherever a clients wishes to pay travel fees. Call 863-255-2025, email partypeoplecc@msn.com or visit our website http://partypeoplecelebrationco.com We look forward to bringing the Color to your special event!